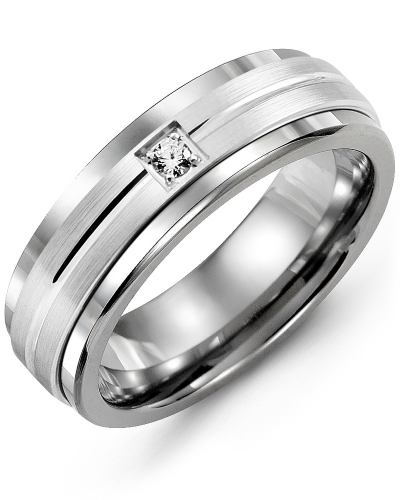 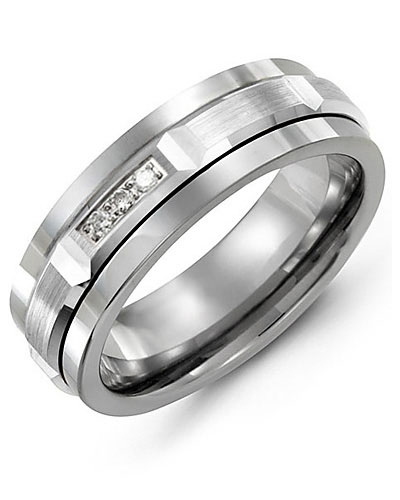 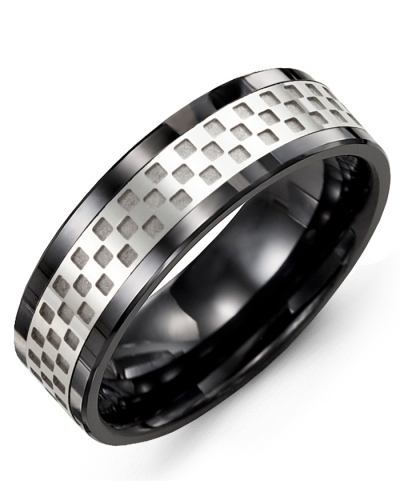 MDL - Grooved Round Diamond Wedding Band A sophisticated addition to every man’s jewelry collection, this contemporary 7mm Grooved Round Diamond Wedding Band complements both formal and casual attire. 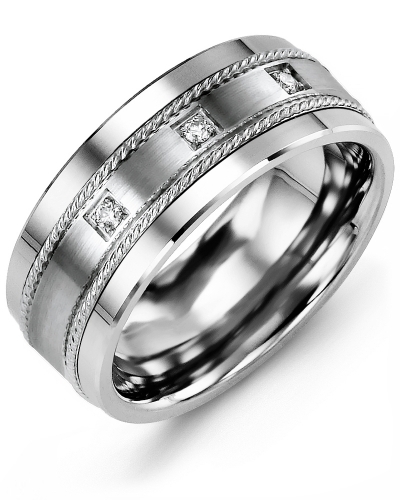 It features a masculine court profile, a grooved brushed gold insert, and four diamonds with a combined carat weight of 0.08ct. The insert is available in yellow, white or rose gold, it comes in 10kt, 14kt and 18kt options, and a further two widths of 9mm and 11mm. 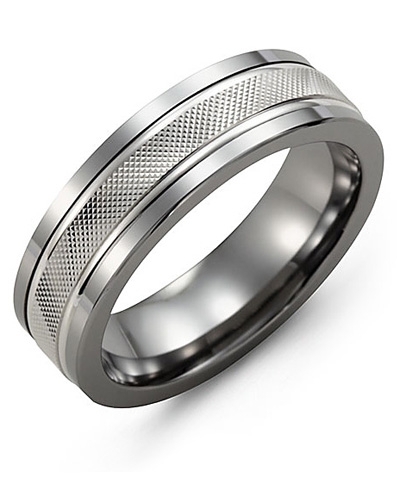 A sophisticated addition to every man’s jewelry collection, this contemporary 7mm Grooved Round Diamond Wedding Band complements both formal and casual attire. It features a masculine court profile, a grooved brushed gold insert, and four diamonds with a combined carat weight of 0.08ct. 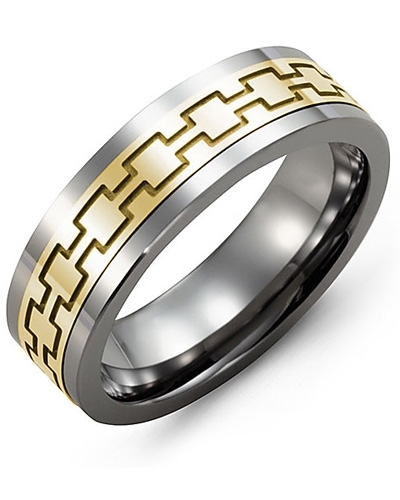 The insert is available in yellow, white or rose gold, it comes in 10kt, 14kt and 18kt options, and a further two widths of 9mm and 11mm.